Call us geeks, but the world of Pantone® Colour Matching is strangely interesting. The ‘Colour Matching System’ was created in the 1950s by a man called Lawrence Herbert who worked at M & J Advertising. It was designed to be a ‘colour dictionary’ for the printing industry. Lawrence bought-out the agency owners in 1960 and renamed it ‘Pantone’. Take a look at the YouTube clip below of the Pantone® Headquarters in action (in English) – video made by the team at Quartz. 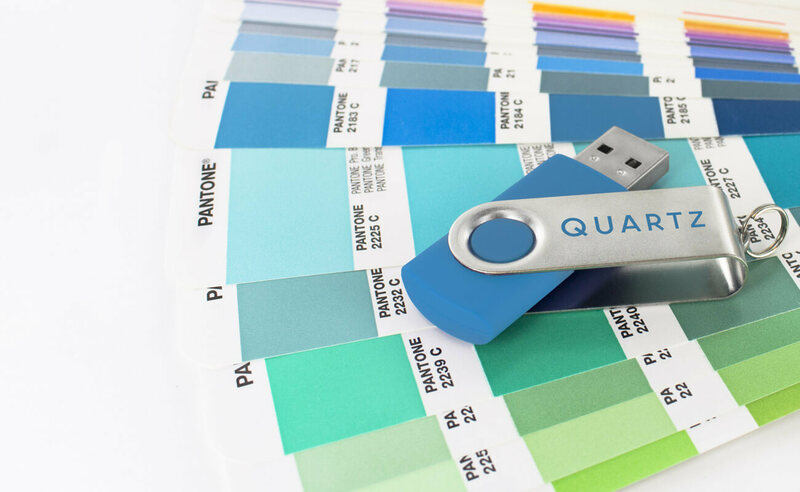 History lesson over, Pantone® is now used across the world by printers, designers and of course Branded USB Flash Drive manufacturers. This system allows us to guarantee a 100% match with your brand colours. We can use the matching system across 65% of our range and there is usually no extra lead time added to your delivery for this service. As there is an amount of set-up work required the minimum order quantity for this service is 250 units and a small additional fee would apply. Ready to get Pantone Matched? Fill out our Quick Quote form and one of our Account Managers will be in touch to discuss next steps.